Read aloud, activity, and book signing! 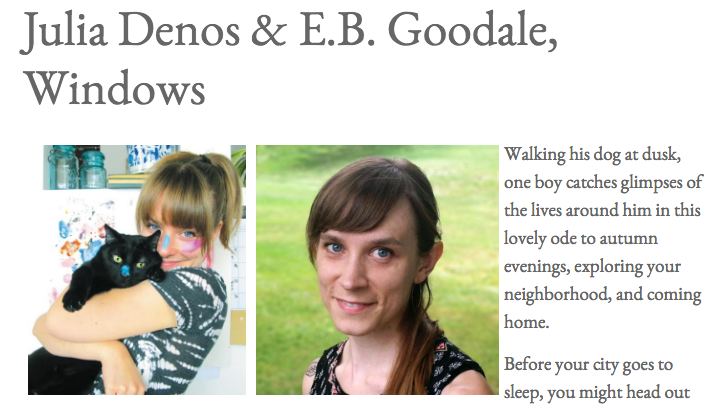 Julia Denos and E.B. 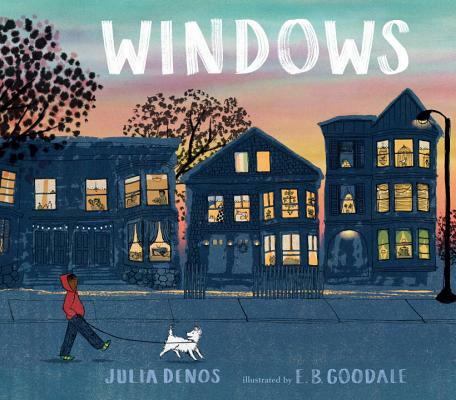 Goodale will be celebrating the city of Somerville by reading WINDOWS with Mayor Joe Curtatone. Read-aloud + activity + book signing. Join us for a book signing at Porter Square Books! Thanks to the jury for selecting SWATCH for the 2016 Original Art Show. She's in good company. Congrats to all winners! Authors include: Peter & Paul Reynolds, Josh Funk, John Lechner & more! PLUS, bring a book to donate to the Little Library and enter for your chance to win a Legacy Place Gift Card!! All kids will receive a special goodie bag. Come celebrate the beginning of summer, with a SWATCH storytime/book signing! Julia Denos will be signing copies of her books SWATCH: The Girl Who Loved Color, Just Being Audrey (HarperCollins), Grandma's Gloves (Candlewick), and I Had A Favorite Dress (Abrams) in the Local Author tent 12:30-3:30. Come out for some fun in the sun, and say hello! Come to the library to read, sing, and create with SWATCH! Come hear SWATCH, get a book signed, and get your face painted like a colortamer! SWATCH storytime, activity and book signing at the Hanover Mall. Come say hi! Indie Bookstore Day: Dead Author Panel! Julia Denos marks her debut as author-illustrator in Swatch, The Girl Who Loved Color, a picture book about a girl named Swatch who wants to harness the power of colors to create her own masterpiece. But what happens if colors don’t want to be tamed? This vibrant picture book celebrates the beauty and color that make up our lives.